Amanda Waller needs Kryptonite, and only Lex Luthor has it! But a deal like this won’t be cheap—or easy. And soon, the dark energies of the Black Vault are driving everyone in Belle Reve Penitentiary to acts of violent, bloody madness. 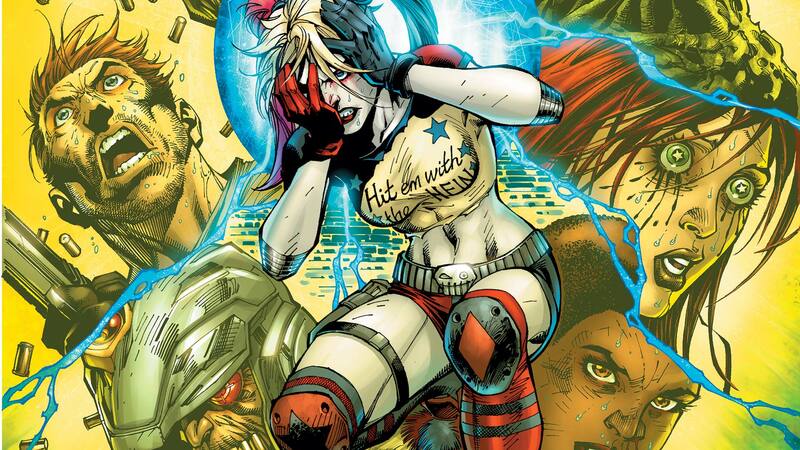 Everyone except Harley Quinn, who’s somehow been…cured? Plus: welcome to Evil Anonymous, the support group for super-villains in need, where no problem is too insane or homicidal. Collects SUICIDE SQUAD #5-8 and the HARLEY QUINN AND THE SUICIDE SQUAD APRIL FOOL’S SPECIAL #1!